In the 1960s in Sarnia, the band went through names such as the Grass Company, the Quotations, Big Al's Band, and ZOOOM. They settled on "Max Webster" in 1973. The original members were guitarist and vocalist Kim Mitchell, keyboardist Terry Watkinson, bassist Mike Tilka and drummer Paul Kersey. Mitchell and lyricist Pye Dubois wrote the majority of their material. During his tenure with the band, Watkinson also wrote one to three songs per album. Kersey left the band after their 1976 self-titled debut album, and was replaced by Gary McCracken. After recording and touring for their second album, High Class in Borrowed Shoes (1977), Tilka would follow suit and leave the band, being replaced by Dave Myles. Myles had played with Mitchell in a series of pre-Max Webster bands, all based in Mitchell's and Myles' hometown of Sarnia, Ontario. Max Webster's third album, Mutiny Up My Sleeve (1978), was produced by the band and Terry Brown in collaboration with their ex-bassist Mike Tilka (who was then concentrating on a production career), and featured the Mitchell/Watkinson/McCracken/Myles line-up. This line-up would last through their fourth album, A Million Vacations, and a subsequent live album, Live Magnetic Air, both of which were issued in 1979. Though their albums had become FM radio staples in Canada, A Million Vacations was the first Max Webster album to generate hit singles that appeared in the Canadian top 100. The group's first hit was "Let Go the Line," written and sung by Terry Watkinson, and peaked at No. 41 on the Canadian charts. Follow-up single "A Million Vacations" was written by McCracken/Dubois, sung by McCracken, and peaked at No. 80 in Canada. The album's third and final single, "Paradise Skies" was a Mitchell/Dubois composition sung by Mitchell, and was a minor hit in both Canada (number 21) and the UK Singles Chart (number 43). With some international recognition having arrived, Max Webster then toured Europe to fairly large crowds in 1979. However, their career momentum was stalled when the band's American label Capitol Records refused to finance a follow-up tour. By the time the band returned to Europe more than a year later, their single was no longer on the charts, and the tour had to be cancelled due to poor ticket sales due to a lack of promotion. Prior to the recording of the band's fifth and final studio album, Universal Juveniles (1980), Watkinson exited. This left Max Webster a trio of Mitchell, McCracken and Myles (and left Mitchell as the band's sole original member). Universal Juveniles was recorded with the assistance of various session musicians; the song "Battle Scar" was recorded live with all three members of Rush playing alongside Max Webster. Myles left the band almost immediately after the album was recorded. Max Webster toured for a little while longer with a revised 'caretaker' line-up before Kim Mitchell decided to dissolve the band one night after playing a gig supporting Rush in Memphis Tennessee in April 1981. Max Webster were close friends of fellow Canadian musicians Rush. In a 1979 interview, Rush bassist and vocalist Geddy Lee commented that he enjoyed their music, and the bands frequently toured together during the 1970s. Although successful in Canada, Max Webster failed to achieve much success elsewhere. "Paradise Skies" was a minor U.K. hit, reaching No. 43 on the singles chart there. They also appeared on Top of the Pops in 1979, playing to a pre-recorded track that was recorded at Abbey Road Studios. Kim Mitchell's subsequent solo career, however, reached a much broader audience and he achieved popularity beyond Canada during the 1980s. Among the highlights of the band's career were their New Year's Eve shows at Toronto's Maple Leaf Gardens. Geddy Lee joined the band onstage to sing and play his Rickenbacker bass guitar for "Battle Scar" on December 31, 1980, when the band headlined the show. The band reunited in 1990 for a gig at the Toronto Music Awards, with the Mitchell/Watkinson/Tilka/McCracken line-up. Max Webster then continued to play shows on occasional basis throughout the 1990s, with longtime Mitchell collaborator Peter Fredette joining the band as bassist in place of Tilka. Max Webster reunited for the Q107 30th Anniversary Concert and Live Radio Special on Thursday, May 24, 2007, at The Docks in Toronto. During the one-off gig, the band played a set of their hits ("Oh War! ", "The Party", "Waterline", "Let Go The Line", "Toronto Tontos", "Diamonds Diamonds", "High Class In Borrowed Shoes", "A Million Vacations", "In Context Of The Moon", "Paradise Skies", Charmonium" and "Battle Scar", with "Hangover" as an encore). The classic Max Webster lineup was featured, from the High Class in Borrowed Shoes era: Kim Mitchell, Terry Watkinson, Mike Tilka and Gary McCracken (who sang "A Million Vacations", with drummer Robert Sibony on drums for the tune). Longtime Kim Mitchell bandmate Peter Fredette joined the band onstage to sing Geddy Lee's part on "Battle Scar." 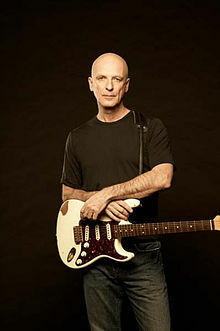 From 2004 until August 2015, Kim Mitchell hosted the weekday afternoon drive slot (2 p.m.-6 p.m.) on Q107 (107.1) in Toronto, Ontario. In the 1990s Watkinson and Tilka formed the band The Antlers, playing Max Webster songs and classic rock covers. The band has continued on and off for more than 20 years, playing at various venues around southern Ontario. Gary McCracken teaches music in his hometown of Sarnia, Ontario. RockCandy Music Music in England has re-released the first three Max Webster albums. In 2017 a box set package called The Party was released by Anthem Records on vinyl, compact disc and digital formats. The release featured remastered versions of all the band's releases, unreleased live and studio songs as well as Kim Mitchell's long out-of-print solo EP. The vinyl set includes a book, a poster and a sticker. A United Kingdom only release known as "Magnetic Air" was released in 1979 by Capitol-EMI Records to showcase the band to a wider audience, it features live tracks from the Live Magnetic Air album as well as songs from the first two albums Max Webster and High Class in Borrowed Shoes. 1976 "Blowing The Blues Away"
b/w "In Context Of The Moon"
1979 "Let Go The Line"
b/w "In Context Of The Moon (live)"
"Blue River Liquor Shine (edit)"
^ Roberts, David (2006). British Hit Singles & Albums (19th ed.). London: Guinness World Records Limited. p. 356. ISBN 1-904994-10-5. ^ "Shows – Q107 Toronto". ^ kubrickrules (30 November 2010). "The Antlers featuring Terry Watkinson and Mike Tilka from Max Webster" – via YouTube. For "Max Webster" "Top Albums/CDs – Volume 25, No. 22, August 28, 1976". RPM. Retrieved 2011-09-02. For "High Class in Borrowed Shoes" "Top Albums/CDs – Volume 27, No. 23, September 03 1977". RPM. Retrieved 2011-09-02. For "Mutiny Up My Sleeve" "Top Albums/CDs – Volume 29, No. 18, July 29, 1978". RPM. Retrieved 2011-09-02. For "A Million Vacations" "Top Albums/CDs – Volume 31, No. 18, July 28, 1979". RPM. Retrieved 2011-09-02. For "Universal Juveniles" "Top Albums/CDs – Volume 34, No. 5, December 06 1980". RPM. Retrieved 2011-09-02. For "Diamonds Diamonds" "Top Albums/CDs – Volume 35, No. 10, October 03 1981". RPM. Retrieved 2011-09-02. ^ a b "Gold/Platinum". Canadian Recording Industry Association. Retrieved 2011-09-02. ^ "Top Albums/CDs – Volume 32, No. 18, January 26, 1980". RPM. Retrieved 2011-09-02. Article about Live Magnetic Air, a book on Max Webster by Martin Popoff.